Kitchen lighting is often an afterthought in the excitement of designing a new kitchen but it is crucial that you include a lighting plan before the builders start their work. It’s no longer enough to rely on one ceiling-mounted fixture to illuminate the entire room as this creates harsh lighting and strong shadows, making your kitchen uninviting and difficult to work in. What you rather need to do is create layers of light to make your kitchen feel warm and welcoming while also being highly functional and practical. 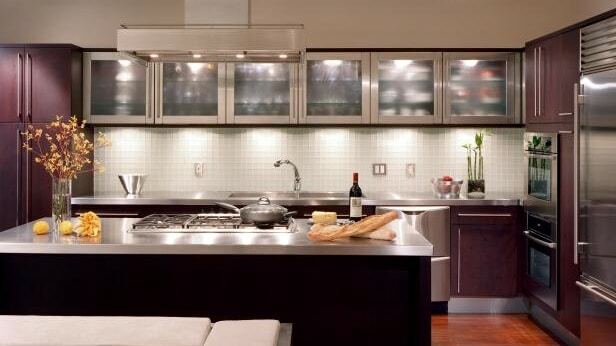 Ambient Lighting: This is general lighting that provides overall light in the kitchen. This can be in the form of ceiling or wall-mounted lights or track lights that direct light downwards. Task Lighting: This is targeted to particular areas such as meal preparation workspaces, desk or computer area etc. This can be in the form of downlights on the underside of upper cabinets to illuminate countertops or pendant light fixtures over a kitchen table or island. Accent Lighting: This is concentrated light that draws attention to a particular area such as a piece of art or an architectural feature. Accent lighting is often created using track, recessed or wall-mounted fixtures. Decorative lighting: This can serve to illuminate and highlight your favorite kitchen features, as well as be a striking focal point in the room. Consider wiring lighting fixtures separately and including dimmers when possible to allow you to vary the light level as needed. Decide what kind of light you want in the different areas. Incandescent light provides soft, warm, yellowish light whereas halogen and LEDs provide a crisp white light that is best for task lighting. LED channel lights are extremely energy efficient, provide a very high illumination, have a slim design and are maintenance free. They are also available with built in occupancy sensors which are perfect for the pantry, scullery or laundry. Fluorescent lights also have a long life and low energy use and come in a range of shades from warm to cool. 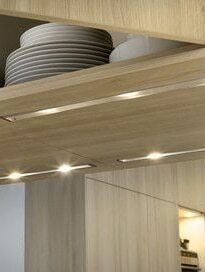 Over-cabinet lighting can be mounted on top of cabinets to shine upwards, creating the illusion of added height in the room. They can be positioned to illuminate displays and spread light on the walls and ceiling above. Where cabinets are installed above work surfaces, consider using under-cabinet lighting to eliminate any shadows cast by the cabinets and to illuminate the work surfaces below. 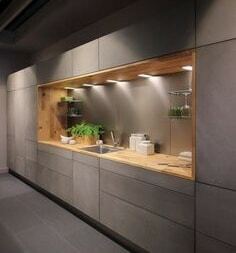 For something really new and exciting, try kickboard lighting underneath the cabinets at floor level. This will add a dramatic look to your kitchen, especially at night. 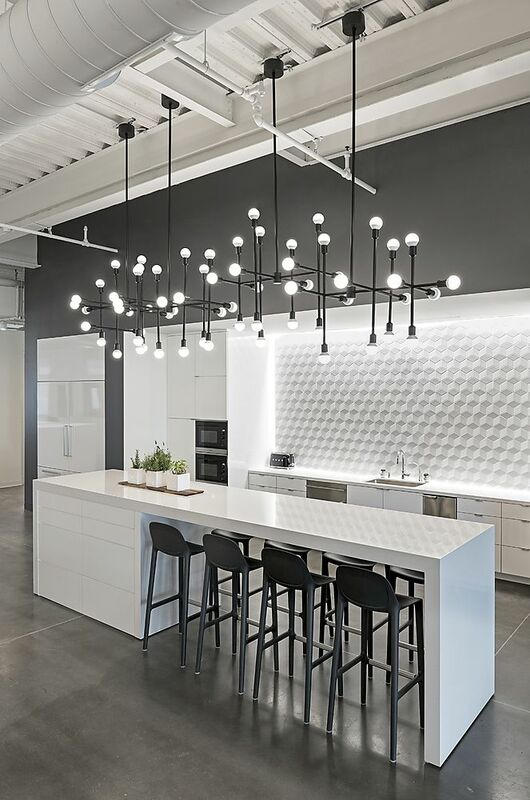 Pendants and chandeliers are great for general or ambient lighting, and can provide visual interest – standing as a focal feature in the kitchen. You can use smaller pendants that can be installed next to one another or choose bigger ones to make a decorative statement. 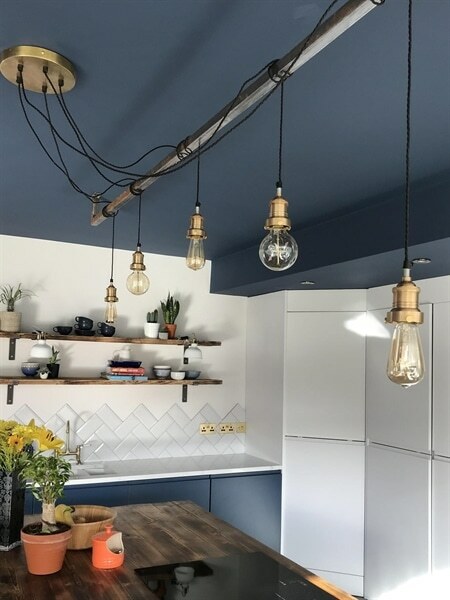 Kitchen lighting has evolved dramatically in recent years, so if you’re still relying on an old-school ceiling light to illuminate your kitchen, perhaps it’s time for a revamp. 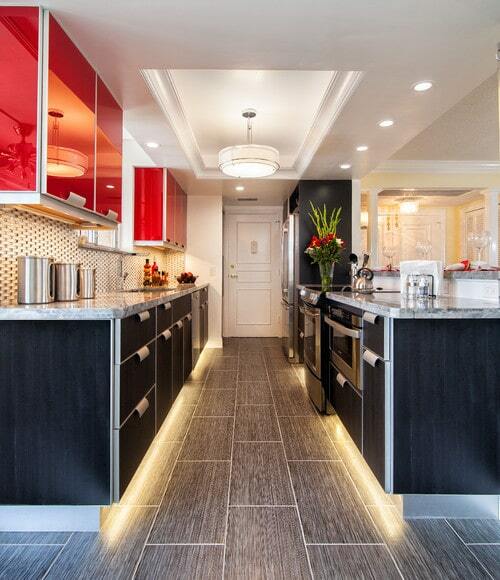 Come and speak to us and we’ll plan your ideal kitchen with optimal lighting for both ambiance and practicality. Call Rock on Wood now or visit our showroom in Plumstead, Cape Town.